Get creative with this Halloween writing exercise. Your child will write a brief paragraph on the topic provided, a fun way to flex those language arts and grammar skills. Think scary thoughts! Get in the mood for Halloween with a spooky creative writing prompt. 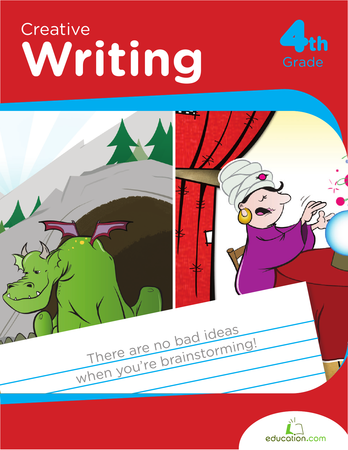 Your child will imagine and write about adventures in a haunted house! Your child will flex his creative writing skills with this fun Halloween writing prompt, all about zombies. Challenge your child to imagine a world without electricity in this creative writing prompt. Polish your writing skills with this spooky Halloween writing exercise! Your child will use his imagination to build a scary story from this prompt. Get into the spirit of Halloween, and write about your scariest experience! This writing prompt is a fun way to build grammar and vocabulary skills.